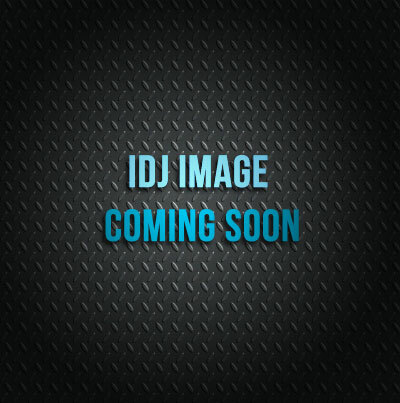 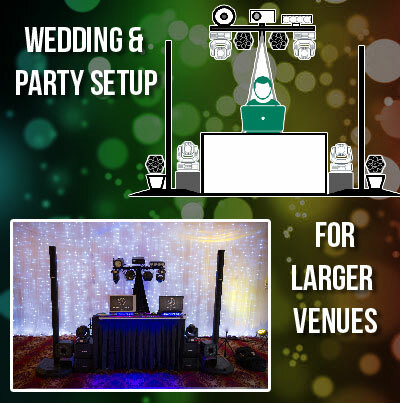 Disco and DJ services for your Party, wedding or corporate event, we offer a range of Dj services based on your sized event, budgets and expectations. 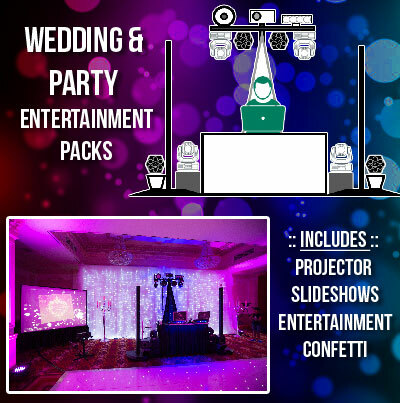 Perfect for medium-sized events, garden parties and celebrations for upto 80 guests.. 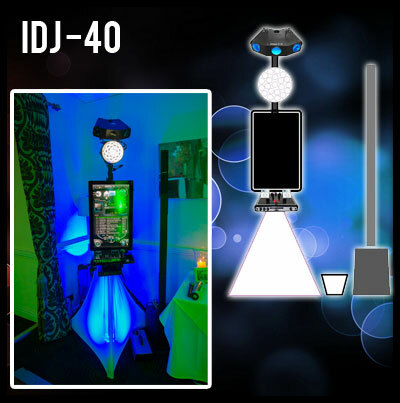 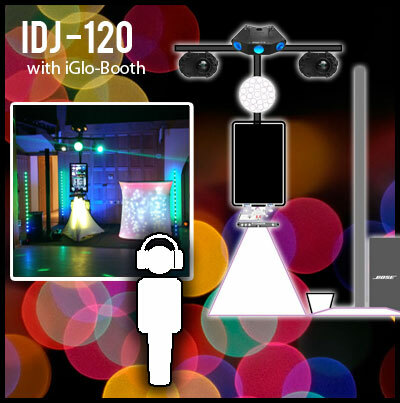 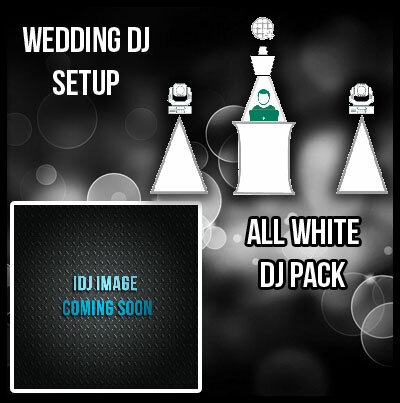 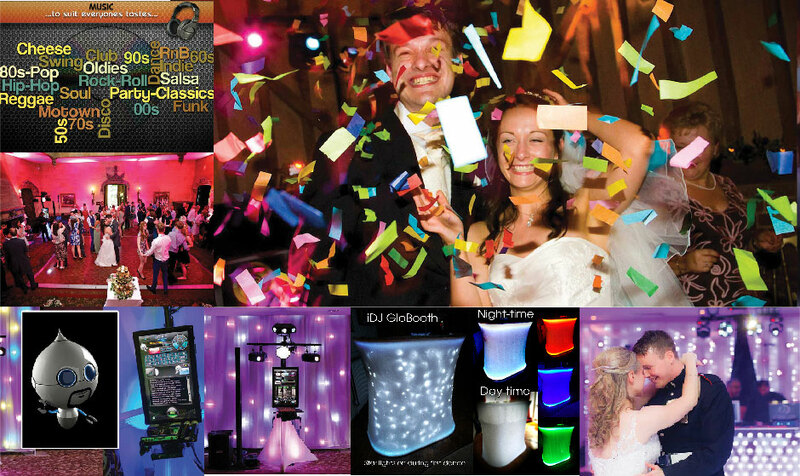 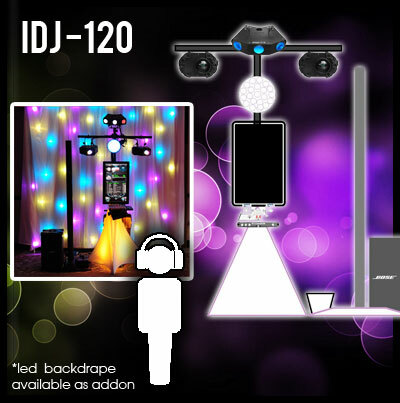 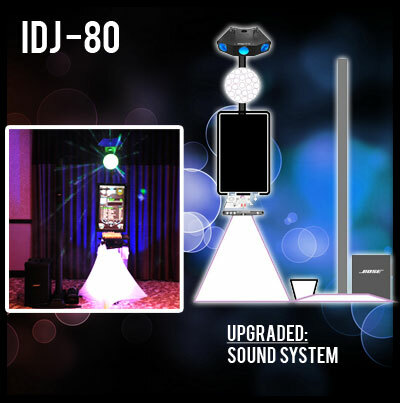 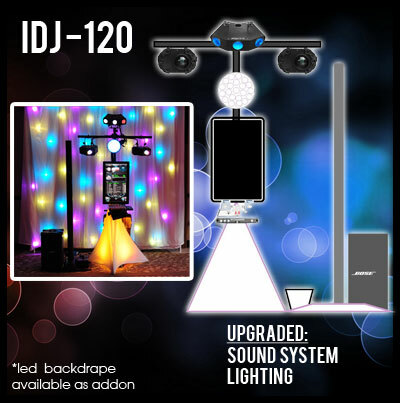 Perfect for larger-sized events and celebrations including weddings, corporate events, proms, christmas parties from 90 to 120 guests..
As iDJ 120 system but with onsite Crew/DJ..
All white star-lit glo-booth with pearl-white disco lighting including mirror ball.